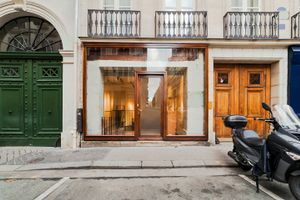 This contemporary 64 sq m boutique in the highly sought after area of 1er is perfect for pop-up stores, art exhibitions and private sales events. 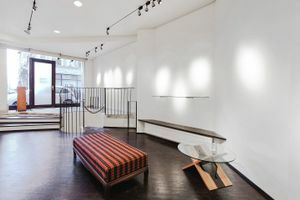 The space is divided over two rooms, one at ground floor and one at basement level. The ground floor boasts a large and tidy frontage with floor to ceiling windows which offer high visibility and also fill the space with natural light. 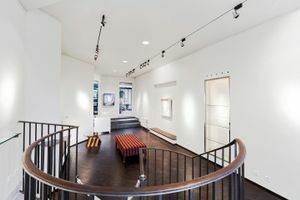 With white walls, wooden floors and modern spotlights, the space is welcoming and versatile. 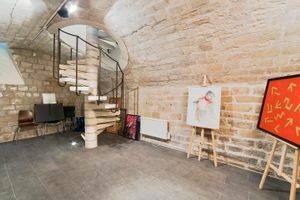 The basement area has more of a historic atmosphere with a spiral staircase and exposed stone walls. The space also boasts a small outside area with back doors. 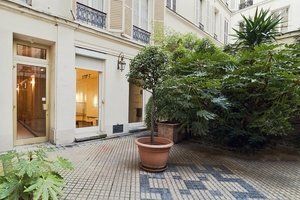 Advantageously located between Tuileries Métro and Rue Saint Honoré and one block from the iconic concept store, Colette, this location is ideal for brands looking to impress in a prestigious environment.